http://cinziamazzamakeup.com/?x=acquistare-viagra-generico-25-mg-consegna-rapida-a-Firenze Each center pull ball (or cake) is 100% bamboo, combining 4 different hand-dyed colors, 325 yards per 4oz, sport weight yarn. Two Sporty Cakes will make a full sized shawl or small sweater. acquistare vardenafil Sardegna Enter now to receive two free Sporty Cakes – you get to choose the colors! Simply comment below and tell me which of the above colors is YOUR fave! No purchase necessary. Open to addresses worldwide! Deadline to enter is January 18, 2017 and winners will be selected via a random # generator. generic viagra jokes new drug And if you find this yarn as irresistible as I do and can’t wait to see if you’ve won, boogie on over to Kristin’s site to buy a cake or three of your own, and if you’re in the USA use coupon code FREESHIPPING at checkout to get complimentary shipping! I love the one with all the blues on the top row! I really love all of them,it’s hard to pick, but I’ll choose Passion Vibe and Gradient Plum,beautiful! I love the Fiesta…the first color! The Chill Vibe is my fav! What a fantastic give-away. I like the two color ways on the top row; middle and to the right of the middle. Good luck Everyone. Paula K.
I like the one with different shades of blue. It has a subtle coolness. I would like the Blues & Purples. gradient plum!!! they are beautiful!!! I like the Cheeky and Fiesta ones! Huge fan of the Fiesty Vibe! Beautiful! This is tough! They’re all lovely but Passion Vibe is my favorite! Gradient Teal please. Teal is my favorite color!!! I love Chill Vibe and Gradient Plum! What a great giveaway and bamboo will be perfect for Florida yarning if I am the fortunate one selected. I LOVE Cheeky Vibe and Passion Vibe! I like the 3rd one in the top row & the 2nd one in the bottom row. My favorite is chill vibe. The name says it all. It a chill color and would make a beautiful shawl. I like the bottom row far left and far right. PASSION VIBE. IT REMINDS ME OF THE COLORS IN THAT FRUIT STRIPE GUM WE USED TO GET AS KIDS, THE ONE THAT LOST ITS FLAVOR AFTER ABOUT 10 SECONDS. Beautiful Yarn! It’s so difficult to decide, but I think I would like Chill Vibe! I love the Cheeky VI’ve! Love them all but Cheeky Vibe and Chill Vibe are probably my favorites. LOVE them all but probably favorite is the bottom center purple one! I love the Cheeky Vibe and the Gradient Teal. Teal and plum vibe. They’re all beautiful. I like them all but I like the name, cheeky vibe! I love the gradient plum! I LOVE the one with yellow/turquoise/red/orange! it IS a fiesta vibe!!! All of them are pretty but I like chill vibe the most! They are all beautiful, but I love the gradient teal and chill vibe!!! The gradient teal is beautiful! Thank you for this opportunity to knit a beautiful project! Gradient plum! I love purple. I love the Fiesta Vibe and Gradient Plum colors the best!! But they are all really pretty! Fiesta Vibe is my favorite but love them all and I adore crocheting with bamboo yarn. Thanks!! Somehow the unlikely combo of orange, yellow, and turquoise is speaking to me. Bottom left is my fav. Thanks! Gradient Teal and Gradient Plum are my favorites it I’d take any of them!!! I love the one with turquoise in the middle. I love that gradient plum! Gradient teal is probably second, but they are all lovely. When I first saw these I thought they were geodes and so pretty! The gradient plum really caught my eye. I love the Cheeky vibe! 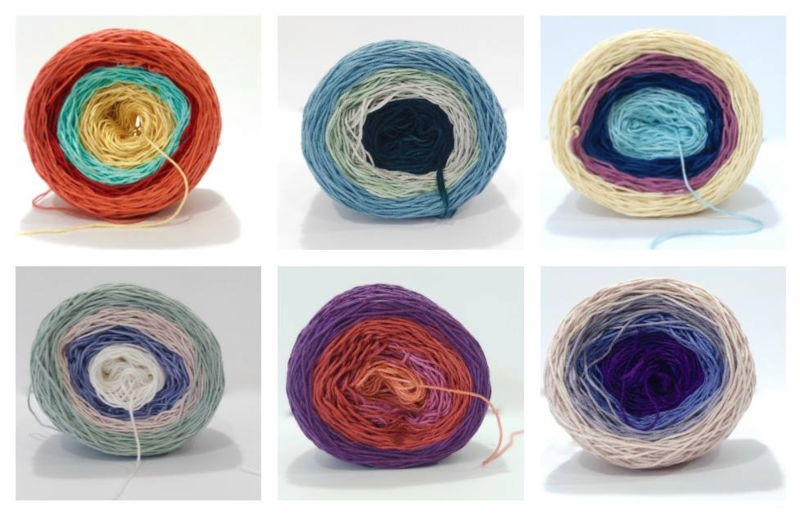 Really cool colors together and would make a beautiful, fun shawl! Fiesta Vibe and Cheeky Vibe, but they’re all gorgeous! They are all gorgeous,but if I had to pick one, gradient plum. Passion vibe – it’s beautiful! I’m loving the Cheeky Vibe and the Gradient Plum. Gorgeous cakes! I like the first one. I believe it is Fiesta?? Love the two bottom corners ! They’re both gorgeous! Love all of them but Chill Vibe would be a must have…like yesterday!! I Would love to put my needle in the Gradient Teal and start creating! It goes perfect with the colours in our bedroom! Gradient plum and passion vibe! Love them all!!! But Cheeky Vibe and Gradient Plum are on the top of my list. I love the gradient plum (and the chill vibe and all the others) but gradient plum. That’s my choice. I love the one on the bottom left, it’s awesome! I like the first one with the orange & turquoise blue. Bright & fun ! Fiesta Vibe is my favorite. Thanks for the great giveaway! I love Kristin and everything she does. Gradient plum gets my vote with the teal being a close second. I’m certain it will create a fabulous shawl that will be perfect for the rest of this crazy cold New England winter! My Fave is the chill vibe…. They’re all so lovely. I really like the Gradient Teal and the Gradient Plum! Just beautiful. Ooooh! The gradient plum is my fav! I love the cheeky vibe and gradient plum! Passion Vibe! But they all are beautiful. I love the gradient teal and gradient plum. Chill Vibe is my favorite! But it’s really hard to choose, they are all yummy! I’m loving the Chill and the Gradient Teal, but honestly any of those would be really fun to play with! Mine are the gradient teal and the gradient plum. Chill Vibe because I am all that. Cheeky vibe & gradient plum are my faves but I love them ALL! I love Chill Vibe. I saw a shrug on Kristin’s site that I’d love it for! Fiesta Vibe! Crocheting with this yarn would be like a party! I really like the two on the right-hand side. The cream to robin’s egg blue and the soft white to deep purple. Those two are definitely my favs. Gradient teal and Gradient plum. Gradient Teal or Pistachio, please! Gradient Plum is my favorite, but I also like Gradient Teal! These are so nice. I honestly like all the colors, just depends what I would make to choose one. Gradient Teal and Passion Vibe are both gorgeous! I would choose Chill Vibe. Gradient Plum! These are all beautiful colours! Fiesta Vibe and Cheeky Vibe are my favorites. The middle top row & the bottom right corner are my favorites! Gradient Plum is my favorite, but also Chill Vibe & Passion Vibe. The first one please. Thanks for the giveaway. I love the Chill Vibe! Thank you so much! Honestly, Gradient Teal and Cheeky Vibe are totally speaking to me right now. They are right up my alley. Totally love these color blends and would love to make something fantastic with them! My favorites are chill vibe and gradient plum. They would all make amazing shawls or wraps. But the one that speaks to me is the one they call “Chill Vibe”. Gradient Plum is my absolute favorite!!! I like the Cheeky Vibe or Gradient Plum. They are all wonderful colours and hard to choose from. Thank you for the giveaway. I love Cheeky Vibe and Passion Vibe-Kristen Ohmdahl colors are amazing! I like the Cheeky and Passion Vibes! Ohhhhhh I love the purple, red, pink & orange!! And I love the ecru, eggplant, black and Tiffany blue!! Really lovely colors. Cheeky vibe and gradient plum. FIESTA VIBE PLEASE!! What a gorgeous yarn and the colours go so well together!! Kristin is truly talented when it comes to yarn! I LOVE the Passion Vibe. They all are beautiful really. All the colors are beautiful, but the Gradient Teal is my favorite! Teal is my best color to wear, and for a change, I would make something for myself. I really like the Gradient Teal and Cheeky Vibe ones! Those are beautiful – I love Gradient Plum the best, I think! Love the gradient plum but I’m a fan of them all! They are all lovely, and while not colors I am usually drawn to, I think I like the Passion Vibe the best. Gradient teal and cheeky vibe are my faves! Fiesta vibe, and Gradient teal are my favs. Gradient plums. Will make a beautiful shawl. All are lovely, but if I had to choose only two, I like Gradient Teal (centre top) and Passion Vibe (centre bottom). Chill Vibe & Gradient Plum. It was a tough decision, they are all so pretty! Love the last two on the bottom! Thanks for the chance!! Passion vibe is so rich with orange and purple. That’s the one for me. Thanks for the chance. I like the gradient teal and gradient plum. They seem to be the popular choice! Passion Vibe and Gradient Plum. Yay! No wool. I’m allergic to wool. Love them all, but Chill Vibe is calling to me! All so pretty, but Passion Vibe and Gradient Plum speak to me! They’re all gorgeous, but Gradient Teal is my fave. I love the Gradient Plum!! What a mix! They are all beautiful, but I think my favorite would be the gradientire teal. love the center top pic and bottom on the right hand side, both so pretty! Chill vibe and gradient teal! Foam green or tangerine orange. The colors are vibrant and oh so beautiful! Would have to make something for myself out of that!! gradient teal! and Gradient Plum! I love all the yarn but I really like the orange yellow and green. The plum is also pretty. The Cheeky color is very pretty, I believe I like that one best. The Gradient Teal is my favorite!!!!! I love the Chill Vibe! Chill Vibe is my favorite! I love #6 with the purples in the middle! It is hard to choose but if I had to I would say chill vibe and passion vibe. It Would have to be Gradient Teal and Gradient Plum. Blues and purplesare my fave. They are all nice. Any one of them would be a wonderful win. I love all of them but I like the gradient plum the best. Oooohhh nice! My favorites are Chill Vibe and Radiant Plum! Beautiful yarn, fav color: passion Vibe! My favorite color combination is purple/green so I’d have to go with Chill Vibe (although Gradient Plum is nice, too). Fiesta vibe is my favorite I love anything with orange in it! I’m torn between the top middle or the bottom left. Oooooh they’re all gorgeous. I love gradient plum and cheeky vibe. The two that call to me the most is Gradient Teal and Passion Vibe. Gradient Plum is really pretty. I like the gradients plum. Gradient Teal and Cheeky Vibe are my top 2 favorites, although it is hard to choose only 2. Thanks for the give away. My favorite is Fiesta Vibe, and Gradient Plum. They all are really pretty. The “chill vibe” would be my pick. Chill vibe but they are all so pretty! I got a Chill vibe going on…would like to create something with this yarn. Gradient Teal and Gradient Plum. Thanks so much for the chance to win this beautiful yarn!! I LOVE Gradiant Plum, though they’re all beautiful! between the top center & the bottom right is my favorite. If I had to choose, I would go with the Plum, but Gradient Teal is terrific, too. Purple is a favorite. Loved the turquoise yellow and orange one! Wow, I just saw a video of her making these….wow. I love them all, but my favorite is the gradient plum. Thanks for the giveaway! They’re all pretty, but I like the gradient plum and teal most! I would go with the gradient plum. I love the Gradient Plum but the Gradient Teal is a close second. I would love the chill vibe. I have used Kristin’s yarn. They are great! Gradient Teal is my favorite. Love the cake with the light purple and the cake with the darker purple. Any yarn with purple! I love the colors, any would do. Top left & bottom right. I love the purple with the peach color in the middle. Thanks for doing this giveaway. My 2 choices are Fiesta Vibe and Passion Vibe. Thanks for the chance to win. I like the purple and red and the other purple, blue, light blue and cream. I like purple. Cheeky Vibe is my favorite one. They are all beautiful colors. My favorite is the Gradient Teal, so pretty! These yarns are all beautiful! I think Chill Vibe is my favorite. They are all beautiful, but I would choose the pastels (first in second row) as I am looking at a Spring shawl. The gradient teal is my favorite, but they are all beautiful! I love the one on the far left, bottom row… beautiful! I just can’t decide between FIESTA VIBE and CHEEKY VIBE…in fact they are all pretty yummy! I love the Gradient Teal! It will go with jeans or neutrals. I love that fact the yarn has no wool – allergic. I love bamboo yarns. I’m really liking the 2 Center colors! Love the first 2 in the bottom row! cheeky vibe (just love the name) and gradient plum. What a tough choice! But I think Gradient Teal is my favorite. Thanks for the opportunity to win. Fiesta Vibe. Although, they are all beautiful! I love bright colors, so Fiesta Vibe looks perfect to me!! Gradien teal and cheeky vibe. Awesome colors! Love the Gradient Plum & the chill vibe! What an amazing offer! Pick me! I like Gradient Teal and Chill Vibe. They all are really nice. Boy is it hard to pick one favorite, but I would have to go with the gradient teal. Thanks for the giveaway! I really think all the colors are beautiful,but for now I will pick Passion Vibe and Gradient Plum!Thanks Kristen,you’re so talented,and a beautiful person! I’m drawn to Cheeky Vibe and Gradient Plum! I love any with blue in them. Chill vibe speaks to me!! Passion Vibe is my favorite. I like the idea of a bamboo gradient, I can’t tolerate most wools. Cheeky Vibe, or Chill Vibe, But I like them all. My favorite is the gradient plum. Thank you for this great giveaway. Chill vibe is definitely my fave! All are beautiful, but would pick Gradient Teal. I love all the color combos, but my favs are Gradient Teal, Cheeky Vibe, and Chill Vibe! Such cool, mod colors! Love the Chill Vibe. Actually they are all great. I like the Chill Vibe. Would love to make something with this cool yarn! I’m torn between Passion, Plum, and Fiesta. I love that they’re bamboo! I love Gradient Teal and Gradient Plum! So pretty! I like the gradient teal–love blues. Fiesta Vibe is my favorite! I love the cheeky vibe and passion vibe. My husband needs some more sweaters and I think he will like these colors, too. Love the Blue on the top row and the purple next to it. My favorite is bottom row far right. Love the light neutral to dark plum. I LOVE Passion Vibe… I even have a project in mind for it. I love the gradient teal. Really awesome blues! All these cakes are yummy! Thank you for making this opportunity available to possibly win a cake as well as being able to drool over the KO website. I’m drawn to the Fiesta Vibe cake. I’m making a shrug for my granddaughter’s 17th birthday and the Fiesta Vibe cake seems to go together with a celebration! My fav pick is Cheeky Vibe! I am drawn to the colors, I like creams, purples, and blues, which it has, and then you have that “pop” with the brighter blue! Would be a great as my intro to cakes! Anything orange or purple is great! I think my fave would have to be the Gradient Teal, the colors are beautiful!! Hope I win!! Thanks for the chance! Totally in love with Cheeky Vibe and Gradient Plum but I’d be happy to try any of the colors; they’re all lovely. It happened to me in a flash…i’ve got a passion for Passion Vibe! Luscious colors all, but that one, yum! Wow, what great colors, I love bamboo yarn! My favorite is Passion Vibe, closely followed by Fiesta Vibe. I am disabled with no personal income so winning would be a true blessing. I love the purple/lavender shades on the far bottom right, second row. If I win, it will give me a chance to try this beautiful yarn in yellow/aqua/orange. Gradient plum is my favorite! I’ve never tried a bamboo yarn before and the colors are very nice. The one I would pick would be Fiesta Vibe. Cheeky Vibe! Love the colors, and the name reminds me to be who I am. i like the last one, the tan blue purple. I love them all. But if I had to choose just one, I’d say the cheeky vibe suits me best. I think that Gradient Plum is my favorite cake of this yarn. I love trying new yarns especially when they are free. Hope I win !! The richness of the Passion Vibe is wonderful. I also love the fact that I am not allergic to this yarn! It is so difficult with a true wool allergy. Gradient Plum for sure! Gotta love anything with purple in it!! I love the Cheeky Vibe. Love the gradient plum or passion vibe. Dude… Love Kristen’s yarn combos. My fave is the Cheeky Vibe. Thanks for the intro and to both of you for this cool giveaway. Just love the color combinations in all of them, making it hard to choose. Si cel I am partial to purple, then my first choice would be Gradient Plum, with Cheeky Vibe as my second choice. Pretty colors! Hard choice–gradient plum. Fiesta and chill vibe! Awesome colors. I love the top and bottom right! I love them all, but the Gradiant Teal is my favorite. Love them all, but especially the gradient teal. A very tough pick, but I’ll go with Fiesta Vibe. I’m in love with the gradient plum! These are fabulous! So appealing! Passion vibe is my favorite!!!! Thanks for this chance to win! So exciting!!!! I love the them all, wish you were giving them all away, but I would love to have the Gradient Plum if I win! I love them all but I like the bottom right corner. ( I couldnt see where the names are) I hope I win thanks for the great giveaway. I love the Gradient Plum. The colors make you want to pick it up and smell all its yummy goodness. Passion Vibe awakens my imagination! Gradient Plum and Chill Vibe! Awesome! I love the cheeky vibe and the chill vibe. Great colors! Cheeky Vibe is just too fun! Fiesta Vibe would be my pick – but I’d not refuse any of them – great colorways all! I really like them all! But Gradient Teal and Gradient Plum are lovely! “Chill Vibe” for sure. It speaks “calm” to me, which is always welcome. Wow! Great yearn to start off the new year. My favorite is Gradient Teal, but they are all spot on for todays fashions. My favorites are Fiesta Vibe, Passion Vibe, and Gradient Plum!! They are all so beautiful! If I have to choose it would be Passion Vibe. Really amazing colors! Oh definitely Gradient Plum!! Kristin knows I love purple!! The Clhill Vibe is one of my many favorites, it was really hard to choose! I’ve been watching “CONNECTING WITH KRISTIN” on youtube, she’s amazing, such talent and a hardddd worker! Thx for the giveaway y’all!! The passion and the plum are very pretty. I absolutely LOVE the Cheeky Vibe colorway! 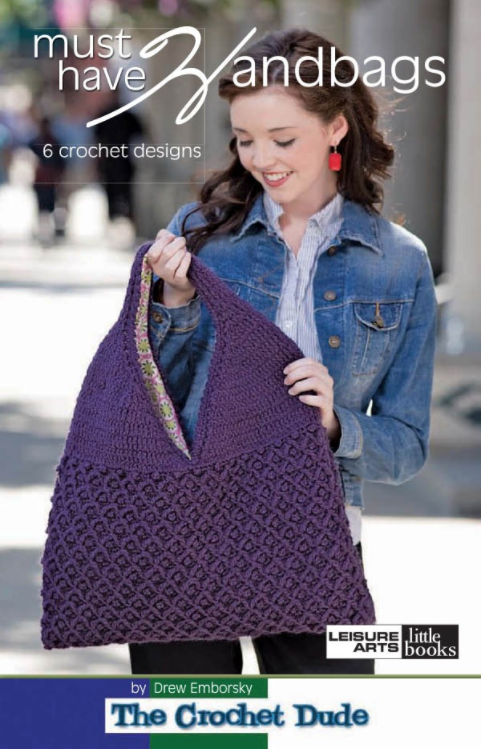 I enjoy working with bamboo yarn so this would be fantastic! very cool yarns, all are lovely my favs are the gradient teal and gradient plum. Bottom Left Corner….Shades of Grey. Also like the Shades of Blue. Very nice color combos. Gradient Plum, I love it!!! 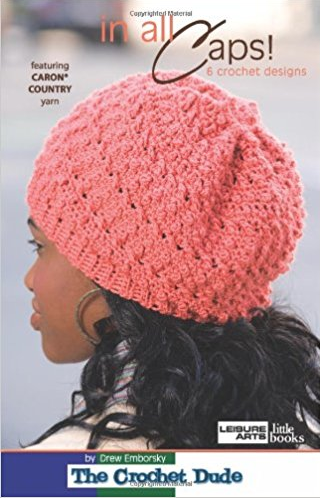 Chill Vibe is a great combination to crochet for summer. Gradient Plum is my first choice. Thanks so much!! They’re all fun, but I really like Gradient Teal and Gradient Plum. I just love the Gradient Teal, and Passion Vibe, they are so pretty. I hope I win in the give away. But if I don’t wtg to the one that does get picked. My favorite is the Gradient Teal color. Thanks for the chance to win! Oh, I love the gradient Teal yarn! Fiesta Vibe or Gradient plum dpt me please! Thanks! Fiesta vibe’s Southwest colors really caught my eye. I like the Chill Vibe! My favorite colorway is Gradient Plum. Thanks for the chance to win some! Love them!! Can’t decide between chill vibe and gradient plum. Gradient teal is my favorite! Fiesta Vibe is the one I love! San Antonio is always in fiesta mode. It’s hard to choose, but I would say Chill Vibe is my favorite. All the colors are awesome if I had to choose one it would be the gradient teal. Thanks so much for the chance to win!!!! I like the chill vibe. I think I prefer the Chill Vibe and gradient teal. Good luck to all. My favorite is Gradient Plum. Luv the purples. Gradient Plum would be perfect to crochet a shawl for my girlfriend. I think the Chill Vibe is my favorite, although I do love them all. 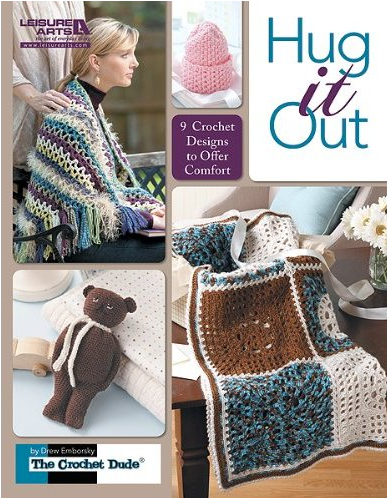 I can see perfect projects for all of my grandkids in each skein! Real happy to see some muted colors in gradients. Gradients are my favorite but sometimes you get “brighted” out. My favorite are gradient teal and chill vibe. I love them all, but if someone wave them all in my face I would grab Passion Vibe. I love how the other colors work with the purple. I love cheeky vibe and chill vibe. I love them all but I think Gradient Plum is my fave!!!!! I love them all but especially the Gradient Teal and Gradient Plum! For the person I intend to gift the project to, I’d pick Chill Vibe. They are all beautiful! Ooooh! Gradient Teal and Chill Vibe! I know the perfect pattern too…. Wow these are awesome! I have to say that teal gradient is my favorite. All the colors are beautiful. Love the pattern and the yarn. I would love to win the Chill Vibe if picked although I would be happy with any of the other colors as well. Thanks Drew! 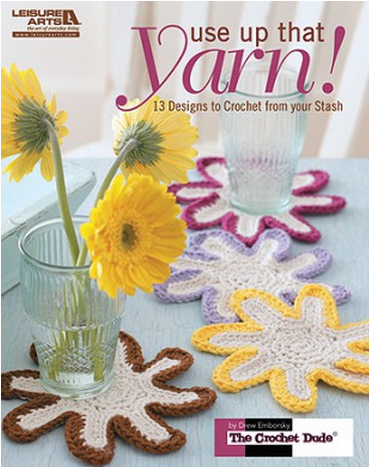 I love the yarn and would be happy to win any of them , although the chill vibe is my favorite! Great pattern as well, thanks Drew! They are all Fantastic! I like the fact they are a lighter weight. I would pick Cheeky Vibe to start enjoying. Thank You for the chance to win this beautiful yarn! What fun colors and a great giveaway idea! My favorites are the upper right and upper left … Fiesta Vibe and Cheeky Vibe. Good luck everyone! My favorites are Gradient Teal and Gradient Plum. Thank you for a chance to win this yarn. How can you choose just one? I usually choose the colors according to what I am making. But if I had to choose just one it would be top row right, the one with cream, violet, navy and light blue. Beautiful color combination. Very soft looking colors. Thanks for the giveaway. They are all wonderful, but the first one is my favorite! I think Gradient Teal is my favorite! My two favorites are Fiesta Vibe & Gradient Teal. Looks like awesome yarn. Also checked out Kristin’s pattern which are quite lovely. Hope to try one very soon. You could probably guess: Passion Vibe is all me! So pretty, love Cheeky Vibe and Gradient Plum. Well all but think Passion Vibe is my fave! Love, love, love the passion vibe! Hi there, I love the Chili Vibe, but truthfully, they are all LOVELY! I think center top (what? – Gradient Teal?) is my favorite! They are all beautiful. Since I’m allergic to wool, bamboo yarn is great!! Passion Vibe with Plum gradient in close tie for top choice though 2nd place. Passion vibe talks to me! I love the gradient plum. My mom’s favorite color! I love the Gradient Teal. I love them all but I think since I have to choose I would take the one second from the top with the blues and greens. Chill Vibe…cause I’m so chill! I would love to win Passion Vibe and Gradient Plum. The are awesome colors. My favorite is the Passion Vibe followed closely by the Gradient Plum. 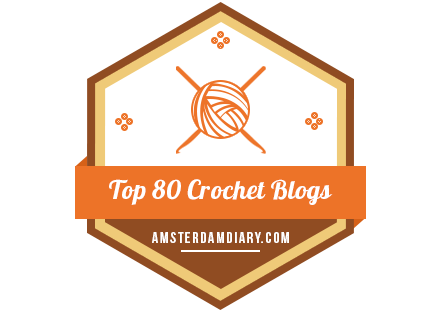 Thanks for hosting this giveaway and showing us this great yarn! Love that it’s plant based. I like them all, but if I have to choose 2, they would be Ceeky Vibe and Cill Vibe. All of the colors are beautiful. I can think of something to do with them all! I would like to have Gradient Teal. Thank you! They are all so pretty! I think my favorite is in the bottom right corner. My favourite is Gradient Plum. I just love that rich dark purple! I like the “Gradient Teal”. Would love to win it. So fun! I love gradient plum. But they are all so pretty! Love the Chill Vibe and the Gradient Teal – would love to experiment with this new yarn. Cheeky Vibe is my favorite!! I LOVE Bamboo yarn!! I love the contrast from dark to light. All of the colors are great, hard decision but I choose fiesta vibe and chill vibe. Gradient Plum is my favorite!! My favorites are gradient plum and chill vibe. I’m liking both the Passion Vibe and the Gradient Plum and sort of eyeing the Cheeky Vibe too. I would live to win some of the Passion Vibe. I really like the color combination it is really vibrant! Thanks for sponsoring the giveaway. I love the Gradient Plum! Purple has been my favorite color since I was very young. They are all lovely but Gradient Plum is definitely my favourite! Thanks to you & Kristen for this opportunity to win a couple of the cakes! Gradient Teal and Gradient Plum are my favorites. Almost impossible to choose, but the Gradient Teal & Gradient Plum have a slight edge! Thanks for the opportunity! I’m loving that Chill Vibe! I love the Fiesta Vibe. It really perks up a room. I would have to go with passion vibe, altho this was a very hard choice! Thanks for the chance to win! The one on the top far right is my favorite. Gradient teal and Gradient plum. Love those colors! I love Fiesta Vibe though it’s not my usual color aesthetic! Fiesta Vibe!! They are all so beautiful it’s tough to pick one favorite, but I’d have to say Fiesta Vibe is my absolute favorite!! Love them all but I think the Gradient Plum is my favorite. I love the gradient teal and the gradient plum! I would be so exciting to win one! Love them all, but especially that Gradient Plum! The one with purple in the middle! It’s screaming blanket at me! Any color would be fine by me. I like to win s I can see what this yarn is all abiut. I’ve Ben loving these cakes and the Passion Vibe is gorgeous! Hard to choose, I love them all, but since you are making me pick, either Passion Vibe or Gradient Plum. Chill Vibe and Gradient Plum. Her yarn is amazing! I love the Gradient Teal and Chill Vibe colors! Both are beautiful!! Oh my gosh – all are gorgeous!! I cannot pick a favorite 🙂 I think it would be between Chill Vibe and Gradient Plum. Gradient plum would be my first choice. My favorite is Gradient Plum. These are gorgeous! I would love the Gradient Teal! The Passion Vibe is calling my name ☺ Stunning color choices-Nicely done! Aaaaaaaaahhhhh! Can I say I love them ALL??? They’re GORGEOUS!!! I would be thrilled, and blessed, to win any of them. Thank you for the opportunity! Gradient Teal and Gradient Plum are my favourites. Need a nice, bright and citrus-y green colourway!! fiesta vibe and passion vibe are my favorites. First choice has to be Fiesta Vibe, but Passion Vibe is a close second! Thanks! The PLUM would be my choice! Gradient plum, no contest! And love bamboo! Thank you! Gradient teal and plum would be great, thanks. Greetings from Australia. I love love love the chill vibe – sooo feminine and pretty. Thank you for this giveaway !! great way to kick off 2017. The chill vibe is my favorite. Thank you for the opportunity for a wonderful chance to win. I would love to crochet with the Fiesta Vibe and the Gradient Teal. They are all gorgeous but Cheeky Plum and gradient vibe would be my choices. So hard to choose! But….I’ll go with the gradient teal. All so lovely! I would pick Fiesta Vibe since it is is so cheerful. Cheeky Vibe is the one for me! Blue and teal I am liking here. I love any of the colors but am drawn to the ones with the “cool” colors without the reds or oranges. 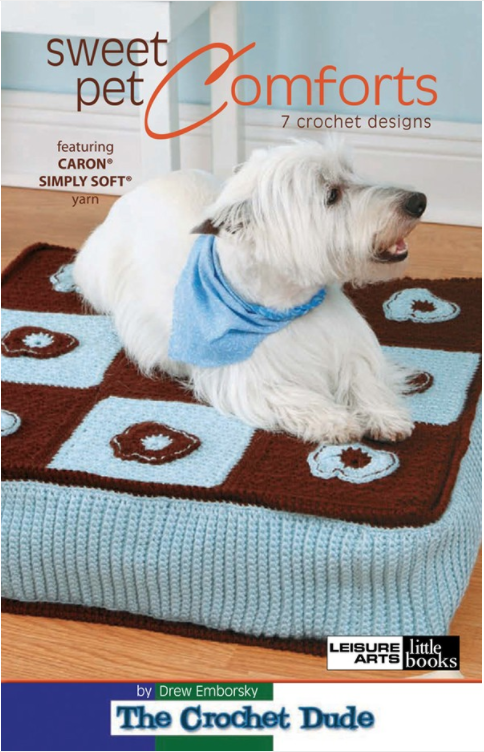 I do a lot of crocheting for local charities and would love to try this yarn out! I love seeing everyone’s projects. Cheeky Vibe! I can see the beautiful nicu prayer blanket it would make. Cheeky Vibe! I love all the colored cakes. It would be amazing to win any of them. Wrong email address 😩 Gradient plum and passion vibe are both amazing! I like the Gradient Teal, Chili Vibe and Gradient Plum. Love the Fiesta Vibe! Looks like a sunset! I like the gradient teal and the gradient plum. Gorgeous!! Gradient teal or cheeky vibe would be my pick! Got it. Love the last one with the blues and the 1st on on the left on the second row. I’m torn between gradient teal and cheeky vibe. I would love to win any color combo. I think they all are pretty. 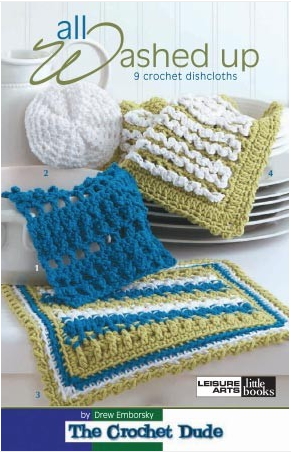 I have never used the cake type combo yarns yet as I am new to crocheting. I am self taught and only been crocheting other than learning stitches for a few months. Thank you. I would love gradient teal and gradient plum. I’m all about color so my favorites are Passion Vibe and Fiesta Vibe. I think my favorite is either the Gradient Teal or the Chill Vibe. Passion Vibe is my fave! They are all looking that wonderful! It’s hard to choose but it’s between the first and last ones on the bottom row. My favorite is Cheeky Vibe! I say surprise me! I totally love all of them and could never just chose one or two…….Thanks for the contest! My 11 yo daughter loves the gradient plum. She’s already has ideas of what I teach her to make with this just after seeing the pictures! Chill Vibe! What a wonderful mix of color. Reminds me of spring on this icy day. It is hard to pick a favorite but I would pick Gradient Plum. I love the Gradient Teal! I’m in love with the gradient teal. Love Chill Vibe and Gradiant Plum! Passion Vibe is my favorite but I’d love to have one of each color! Gradient Plum and Cheeky Vibe look awesome! That gradient plum would go perfect with the plum I just got! Gradient Teal, and Chill Vibe. Those are the two that “Speak” to me the loudest!! But they all are just simply GORGEOUS!!! Gradient plum. Love all of them. Love fiesta vibe and radiant plum. Hope they are available in UK. It’s hard to get thus style yarn. I love them all but most especially Chill Vibe. I love the bright colors. Cheeky vibe caught my eye first. Love all the colors but fave is chill vibe. thank you for this opportunity for this drawing! Gradient Teal won as my favorite but Gradient Plum was a close second. I’d love to work with bamboo yarn as I’ve never tried it before!! Thanks for the give away! Love the Fiesta Vibe! Thank you! Gradient Plum Is my favorite…. but love the others too! Gradient plum. Yes, gradient plum. No, fiesta. No, no gradient plum. Gradient teal and cheeky vibe are my favorites! My favorite is fiesta vibe. So bright and cheerful! Fiesta Vibe is such beauty…..what I can make hmmm so many things…. I love both the top and bottom right color schemes but if I had to pick one it would probably have to be the top right one. I love that bright blue! I am a purple person and a blue person, when the occasion calls for it. Chill vibe is my favorite, followed closely by gradient plum! These are all so beautiful, but I think my favorites are Chill Vibe and Gradient plum! I like the Fiesta Vibe! As fab as they ALL are, I’m grooving on Gradient Teal and Chill Vibe! The colors are all beautiful, but I like the one that looks like the sea. It’s greenish on the outside and pure white on the inside, with blue and beige between. Gorgeous! All the colors are spectacular but I really love the colors of # 3 and 6! I love the cool colors – Gradient Plum and Chill Vibe are my favorites. Gradient real looks yummy. Never worked with bamboo, sounds inviting. I love the gradient teal or the gradient plum! Fiesta Vibe and Passion Vibe are my favorite, but I love them all! Thanks for the Giveaway! Going to Kristin’s website now to look! I love Fiesta Vibe and Gradient Teal! I love the passion vibe, purple is my favorite color . I like the warmth of Fiesta Vibe! I like the Gradient Plum. Thank you for offering this freebie! I love cheeky vibe and chill vibe! And winning would be the best birthday gift! The top center is my favorite. It has all my favorite colors! I like Chill Vibes the best, though they’re all beautiful! I love the passion vibe! I am in love with Chill Vibe and Gradient Plum! There are really two which are my favorites, but since you said to comment on your favorite, I take that to mean one. So Chill Vibe is my favorite. My favs are Fiesta Vibe and Passion Vibe. Like everyone else, I’m having a hard time choosing a favorite – They are all gorgeous! – so I’ll just pick one at random: Gradient Plum. Hope I win! I like Fiesta Vibe! Lots of celebratory colors there. Felecia – Wild Orchid is my favorite. They are all so beautiful. Working with any one of them would be pure bless. Gradient plum is my favorite, but they are all gorgeous colorways! I really like the Fiesta vibe and the Gradient Teal. Can it be because I live in the Caribbean (Puerto Rico)? I think I am going to have to pick plum, but I like all of them. I love the top left one. That turquoise against that deep red clay color is so southwestern. The colors are not the ones I would normally use, but my eye keeps being drawn to Fiesta Vibe! Hey, Drew I love all the colors, but my favs are Fiesta and Passion. I used 2 go 2 Saugatuck in my teen years because we had a houseboat at the marina. Loved the dunes soooo much and Lake Michigan. We had a lot of good times there! Hi Drew! I’d absolutely love two skeins of Gradient Plum. It would make an excellent shawl for my Auntie Di. Thank you for the chance! Cheeky vibe looks like it would be fun to work with and fun to wear. Hard to choose but I’ll go with gradient teal! My faavorite colorway is Gradient Plum. Thanks for bringing this new yarn out in the open. Gradient Plum! Perfect for a shawl to send with my daughter as she heads off to college in the fall! I love the chill vibe, I’d make something for my daughter, just one month old this week! Love the one on the top right with the purple and blue. Oh the things I could do with it! Gorgeous!! Gradient Plum is definitely my favorite! My favorite is the purple/blues/cream on the bottom right. Gotta be Fiesta Vibe! Bright and cheery. The top center one with all the blues. The first one and the middle one on the bottom row. The Fiesta Vibe would be my first choice, but I absolutely love them all. I’m off to the store to add to my stash. I see many WIPs in my future. I have two faves, Cheeky Vibe and Chill Vibe, but honestly how do you choose? They are all wonderful. And check out her website, OMG! Love love love this yarn! Fiesta vibe is my favourite! I have two on hand right now! My favorites are gradient teal and gradient plum. Cheeky Vibe is my choice. Gosh. So hard to choose, but I think I’d have to go with Cheeky Vibe since I really like that (and the name!) Thanks for the chance. Chill Vibe and Gradient Plum are my favorites. They are all beautiful. All the colors are great I’d have to choose the Fiesta and the Cheeky. My favorite is the Cheeky Vibe! Glad to see you back Drew. Fiesta vibe looks gorgeous. Love the purple and real the most but they are all fantastic! Love the purple and teal the most but they are all fantastic! Love them all, but sitting here in the cold, Gradient Teal reminds me of a warm seashore. I think Cheeky Vibe and Chill Vibe…who doesn’t want to be cheeky and chill together!! They’re all beautiful but gradient teal and chill vibe are gorgeous together. Gradient plum is my favorite. I like Chill Vibe and Cheeky Vibe. The Vibes are lots of fun, but for me, I would choose one of the Gradients – most likely the Plum. I like the top middle with the dark blue middle. Gradient plum has my favourite colors! Gorgeous! Hi! They all look great but my favs are Passion Vibe and Gradient Plum. I think both of those yarns would look amazing made into a beanie and scarf set! The Gradient Teal is my favorite, but I love all the colors! All of them are absolutely gorgeous but since I have to pick two, I pick Gradient Teal and Chill Vibe. I’m really hoping I win, but want to wish everyone good luck! Also want to wish whoever wins a big congratulations! I like the green and purple one best. I like the first one. Fiester. I love the one in the bottom right hand corner. Love all of them. The oranges remind me of the Grand Canyon. Really like the one with the darker purple in the center. Would love to win and make something beautiful with this lovely yarn. Gradient Plum and Cheeky Vibe! I still love the first one with the orange, aqua blue & yellow. I have something in mind for that one that would be perfect ! Fiesta Vibe is so fun! Love the vibrancy of it. Passion vibe is gorgeous!! Love it – but, but, wait – gradient plum – oh!!! My!!!! Goodness!! Gradient teal, but love all of the color combinations as well. It is difficult to choose:) Gradient teal and Gradient plum are beautiful! Hi Drew 🙂 My fave is Chill Vibe. Thanks for hosting this great give-a-way! Gradient teal !!! And Fiesta Vibe ! 🙂 thank you !!! This was not an easy decision at all. After going back and forth, I have decided on CHILL VIBE & GRADIENT PLUM. I adore the gradient teal! I love the Gradient Plum and Cheeky Vibe. I love the one on the far right in the bottom row. Perfect color combinations! My faves are the ones with purple. I have heard and seen a lot of awesome things made with these cakes. It would be great to try them. My favorites are Gradient Plum and Gradient Teal. They are all beautiful and I would love to win! Top left, bottom right are my favorites! I like Gradient Teal, but something about that Passion Vibe is calling to me! They are all absolutely beautiful but I love the Cheeky Vibe the best! Oh they are all so nice. I’m hard pressed to pick a fav. The Fiesta Vibe and Gradient Teal were the first to catch my eye. I love Chill Vibe. Amazing colours. I like them all, if I am to pick one, it’s the one on the top right corner. Top row the one in the center is my favorite. Gradient Teal and Gradient Plum are my favorites. All of them are great,depending on the “mood” you’re in! I am in LOVE with Cheeky Vibe and Passion Vibe !! Good luck everyone !! I love them all! Colors are AMAZING! Okay, I changed my mind – Fiesta Vibe! LOL!!! Gradient teal & Chill vibe. Chill Vibe and the Gradient Plum are my favorites. Love the gradient teal and chill vibe!